Pioneers in the industry, we offer softgel capsules from India. 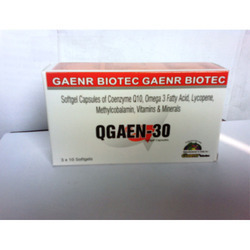 Supplier & Trader of Pharma Capsules & Q GAEN-30. Our product range also comprises of Pharma Franchise in india, Pharma PCD and Gaenr Products.